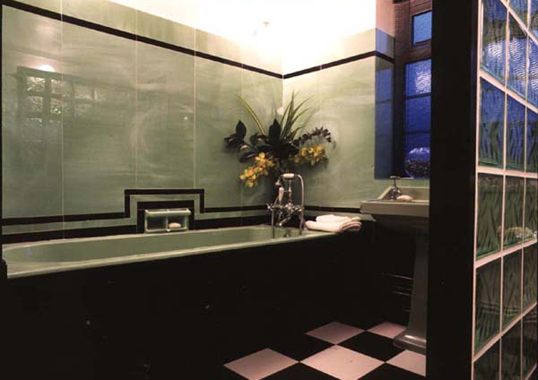 Art Deco is an eclectic artistic and design style that began in Paris in the 1920s. 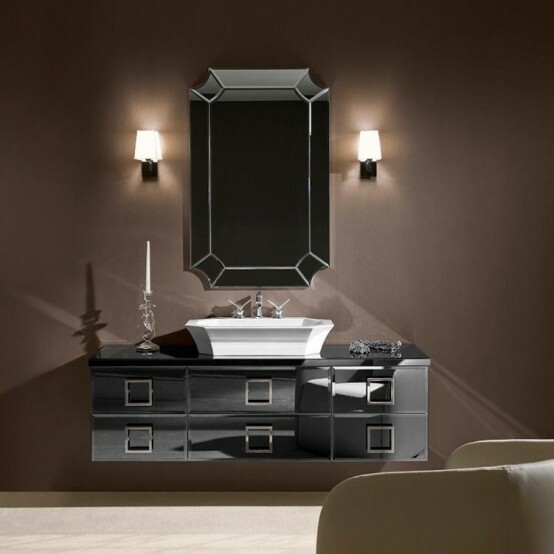 Nowadays it’s popular in luxury residences and hotels because it represents elegance, glamour, modernity and even functionality. 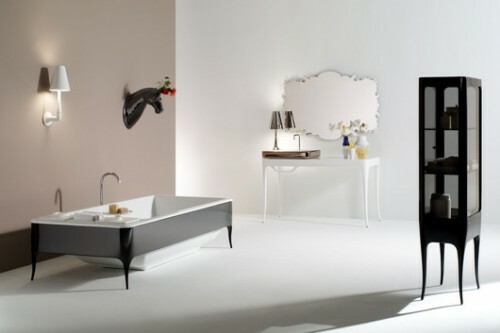 Even though it’s hard to find good furniture in that style that won’t cost you a fortune you still can do that. 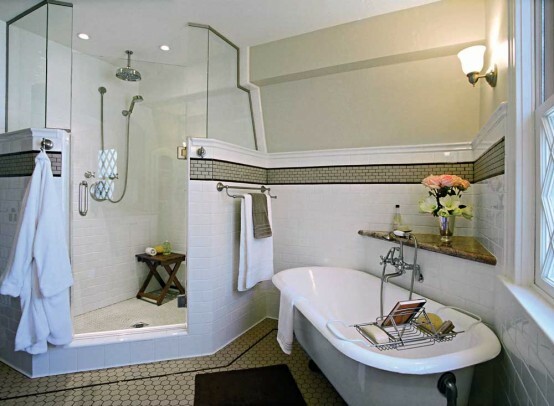 So if you like this style you can use at your home too. 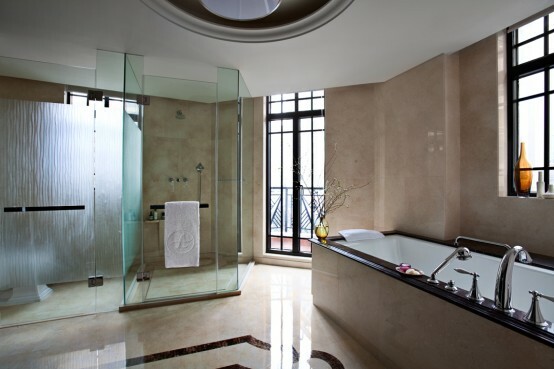 The best room to start is a bathroom. 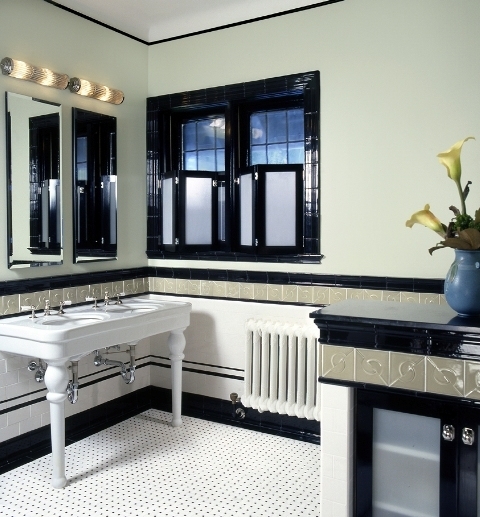 Many manufacturers of modern plumbing have products that combine the aesthetic of minimalist and luxury of art deco. 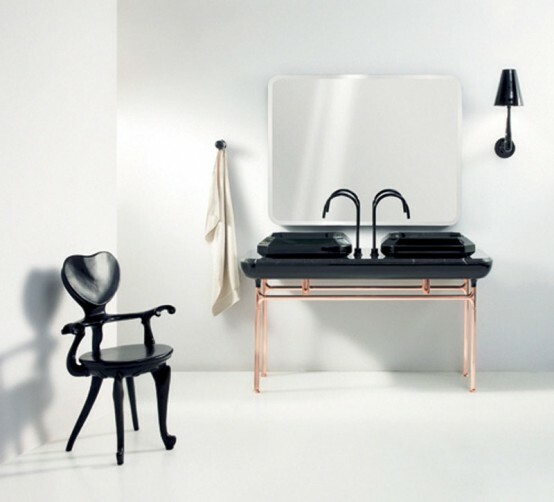 Glossy furniture is also very popular nowadays so it definitely won’t cost you a fortune. 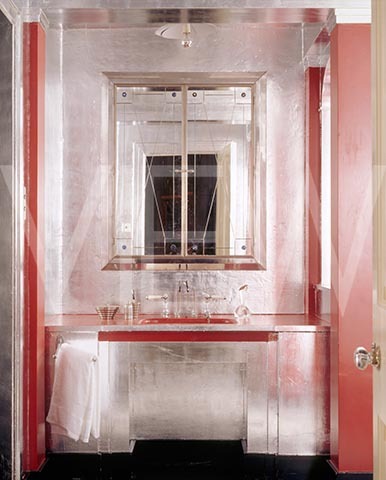 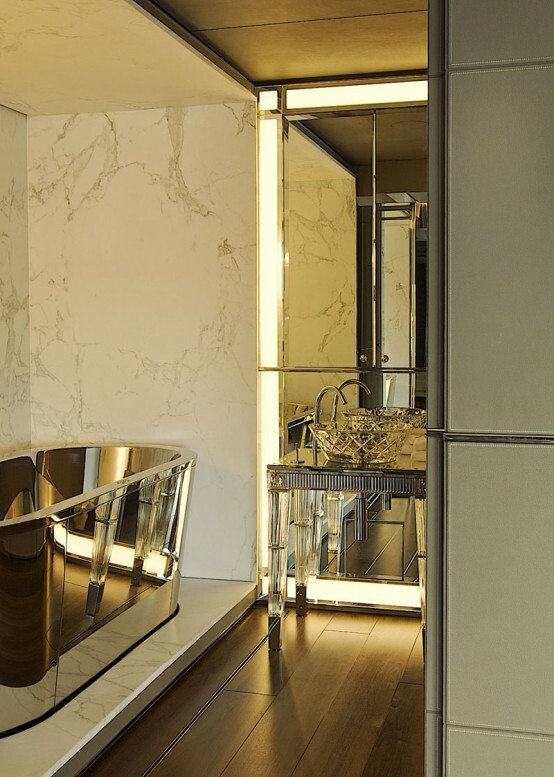 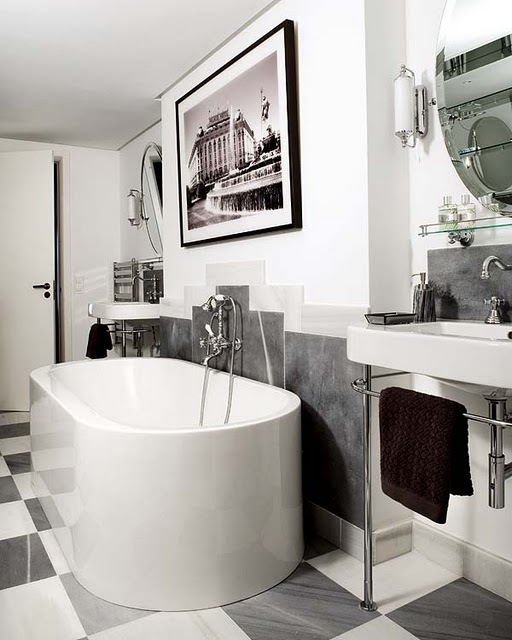 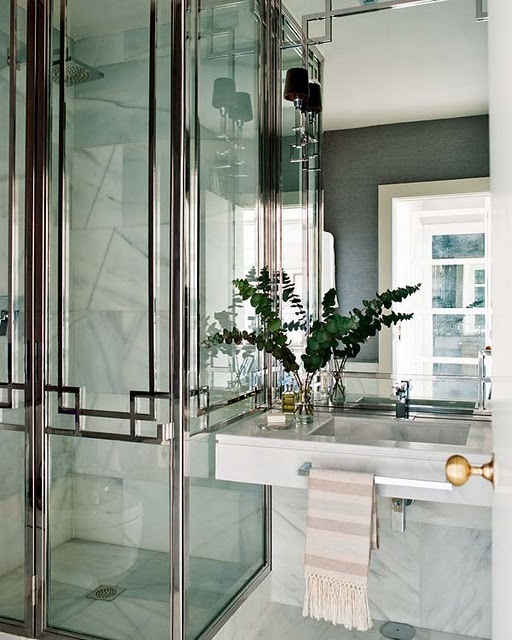 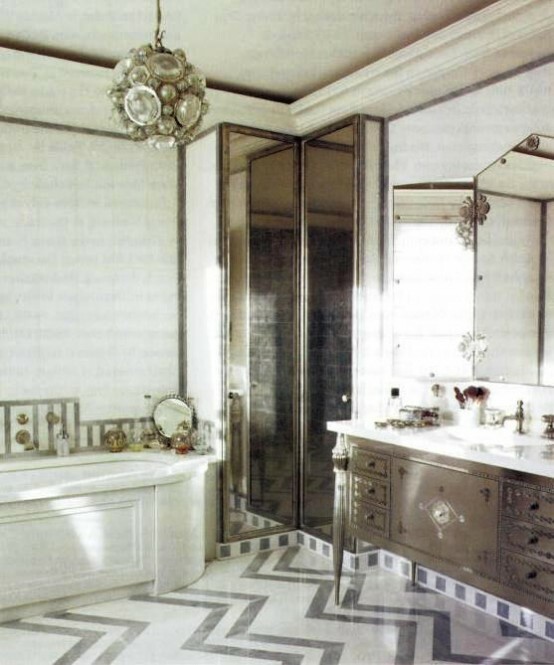 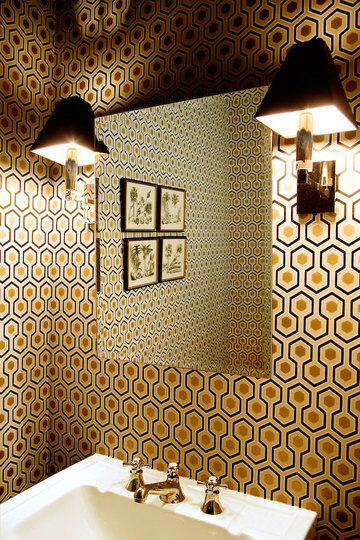 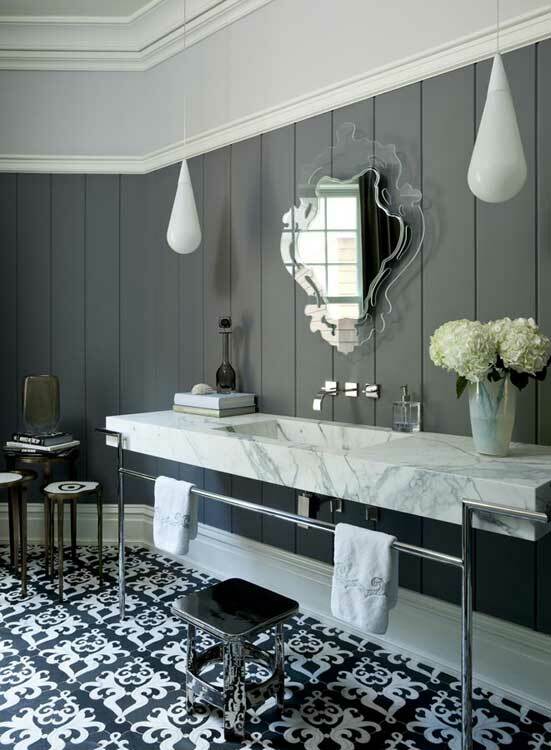 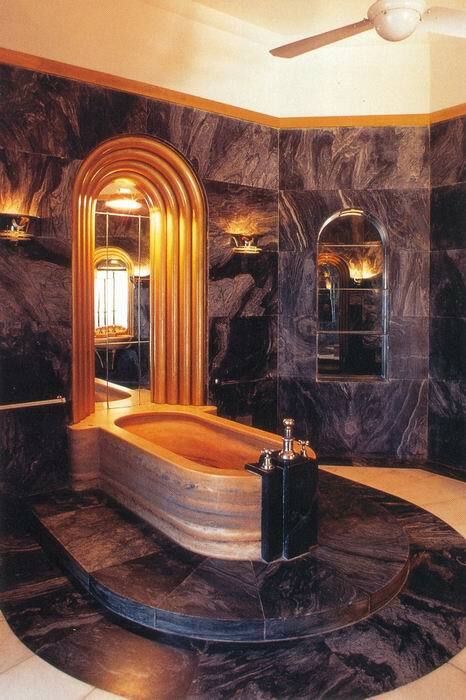 Here are some examples of modern interpretations of Art Deco bathrooms to inspire you.